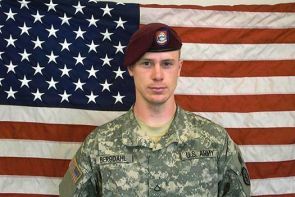 No ransom was paid for the release of Sgt Bowe Bergdahl, who was held under Taliban captivity for 5 years, the US has said, refuting all such reports in this regard. "I've seen these reports that suggest that a ransom was somehow paid, and those reports are inaccurate," White House Deputy Press Secretary Josh Earnest said. "Not from the United States government, not from a third party, none?" he was asked. A similar answer was given by the Pentagon too. "No money was exchanged to secure Bergdahl's release," Pentagon Press Secretary Rear Admiral John Kirby, told reporters at a different news conference. "There was no US money paid to secure Sergeant Bergdahl's release," he reiterated. The White House Deputy Press Secretary said there were specific consultations by administration officials with relevant members of Congress about efforts to secure the release of Bergdahl. "Those consultations included the idea that Sergeant Bergdahl's release would be predicated on a prisoner swap and the release of five Taliban detainees who had previously been detained in Guantanamo," Earnest said. "There are specific members of Congress who have expressed their displeasure with being left out of the loop about this specific secret military mission. And the fact of the matter is there's actually probably not any disagreement here," he added. The Obama Administration, he said, did not notify the Congress of the precise operational details of this mission, and there are no regrets about that, he said. "And that was necessary to protect the operational security of the mission," he noted. Kirby told reporters that Sergeant Bergdahl continues to recover and work through the reintegration process at a US hospital in Landstuhl, Germany. Kirby said that Defense Secretary Chuck Hagel would testify before the House Armed Services Committee today on this issue. "He (Hagel) looks forward to explaining why the President's decision to secure the release of Sergeant Bergdahl was the right one and why the process we undertook in doing so was in keeping with our national interests," the Pentagon Press Secretary said. Kirby justified the prisoners swap decision to get Bergdahl back. "And it's safe to say that the entire interagency, the entire national security team agreed that we needed to take advantage of this fleeting opportunity, and that operational security was critical to securing it safely and efficiently," he asserted.